Jeter Downs, one of the newest members of the Los Angeles Dodgers organization, was ranked No. 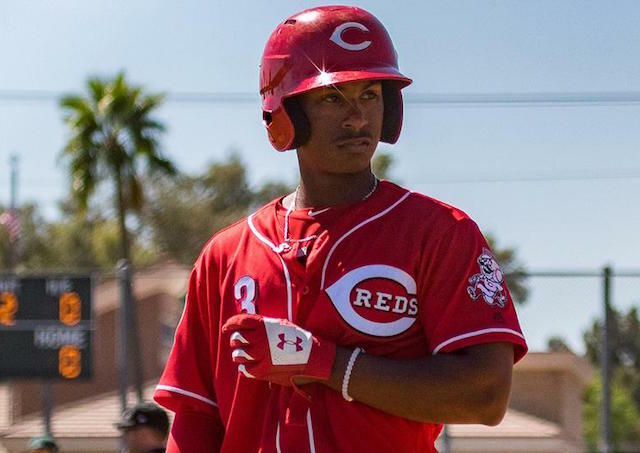 6 on MLB Pipeline’s list of the top-10 second base prospects for the 2019 season. Downs came to the Dodgers from the Cincinnati Reds last December in the trade that sent out Yasiel Puig, Matt Kemp and Alex Wood. Downs, the 32nd overall pick in 2017, hit .257/.351/.402 with 13 home runs and 23 doubles in Single-A Dayton last season. He also stole 37 bases in what was his first full year of professional baseball. Downs was drafted as a shortstop, but spent more time at second base last season. He figures to do the same with the Dodgers, who will have Corey Seager returning from Tommy John surgery. The presence of Gavin Lux makes matters more complicated for Downs. The Dodgers’ first-round pick in 2016 has also played second base after being drafted as a shortstop. He may still be considered a shortstop, but is on track to reach the Majors ahead of Downs. In that case, Lux would presumably shift to second base provided Seager returns to form. There is also the possibility that the Dodgers trade Lux or Downs before either can impact the club. The team has been linked to Cleveland Indians ace Corey Kluber and Miami Marlins catcher J.T. Realmuto for virtually the entire offseason. If a deal for one of those players is completed, Lux and/or Downs may be part of the prospect package heading out of Los Angeles. 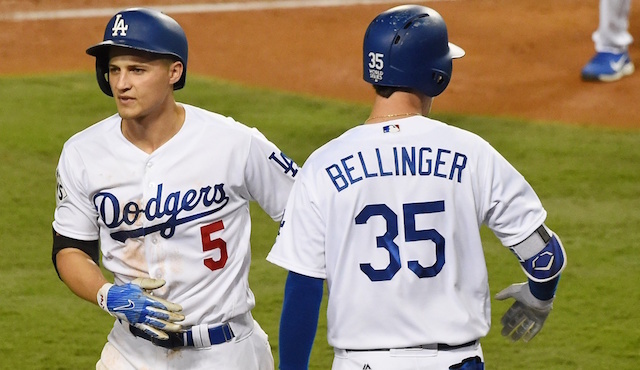 Although the Dodgers have a deep starting rotation and recently re-acquired Russell Martin to solidify their catching depth, their desire to add an impact player could clear a big league path for one of their young middle infield prospects going forward.